Themed, ‘Watching Over Hong Kong’, the last commemoration of Yasi (1949 – 2013) was held in March 2017. We paid tribute to Yasi with music, arts, seminar, and poetry, and tried to decode this city’s past, present and future through Yasi’s works. This year, we will embark on poetic journeys to foreign lands with the well-travelled Yasi. Being our first stop, the Book Club will revisit Yasi’s essays, poems, and short stories published in 1970s. 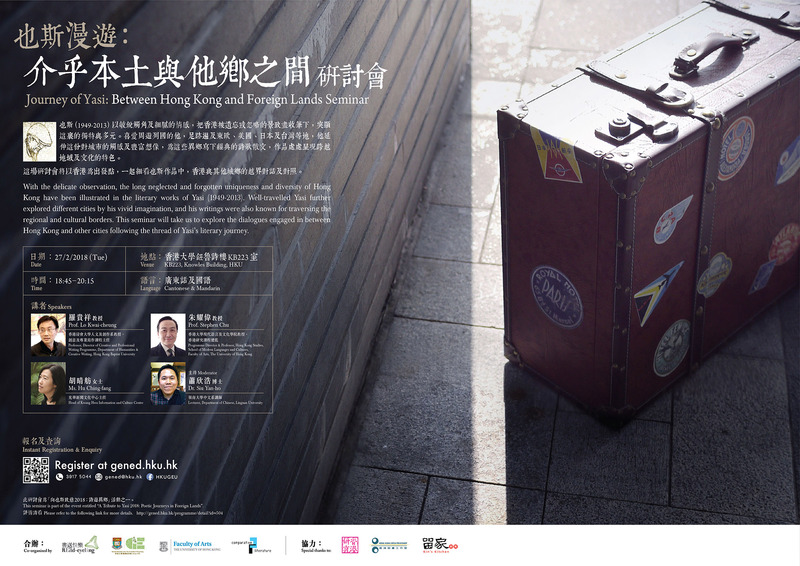 Titled, ‘Journey of Yasi: Between Hong Kong and Foreign Lands’, the seminar will take us from Hong Kong to the world and re-examine Yasi’s works from the perspective of Hong Kong as a global city. Another highlight event is an exhibition in response to Yasi’s poetry works. You are invited to translate your observations on the world within and around you into various mediums of visual artworks. Together with Yasi’s poems, selected artworks will be showcased at a two-week exhibition. The tribute will culminate with the highlight event on 1 March (Thu). Join us for a cosy afternoon that commemorates Yasi with poetry, music, storytelling, Chinese dim sum, and tea from around the world. The co-organisers called for visual arts works themed ‘Poetic Journeys in Foreign Lands’ to serve as part of the annual commemoration of Yasi. Participants are invited to observe the world within and around them, and unleash their creativity in translating their inspirations into various mediums of visual artworks such as photography, drawings and paintings. The selected artworks will be on display together with Yasi’s poems, at the exhibition. 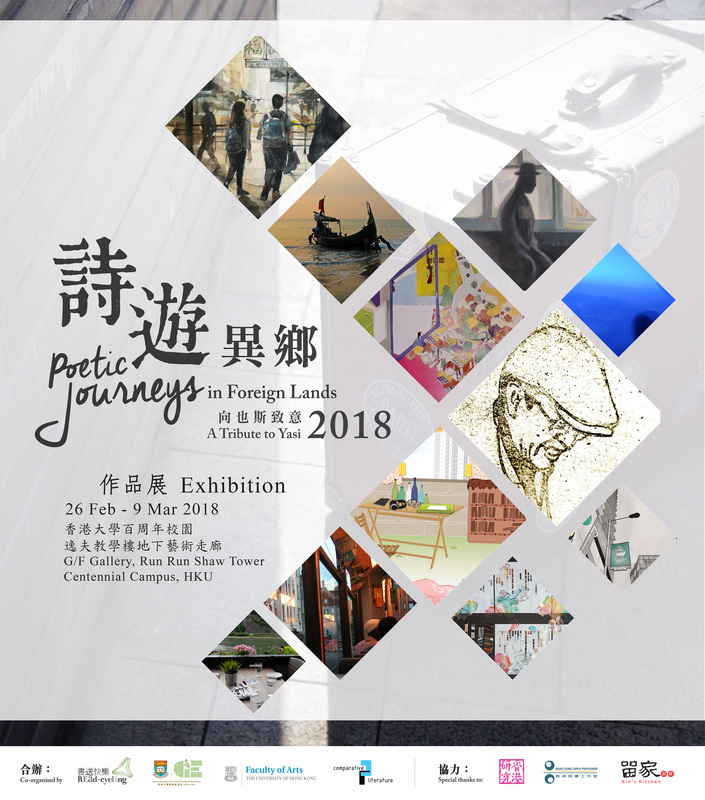 The event is co-organised by Read-Cycling, the General Education Unit, the Faculty of Arts, and the Department of Comparative Literature, and supported by Hong Kong Studies Programme of the School of Modern Languages and Cultures, Hong Kong Open Print Shop, and Kin’s Kitchen.